Do you want to travel? Are you planning your wedding or your retirement? Whether your projects are big or small, you must take the time to organize and figure out how to pay for them. Whether your to-do list includes one big project or many small ones, you must save enough money to carry them out. It is never too early or too late to start investing and no amount is too small. However, the earlier you start to save, regardless of your budget, the more you will save, thereby giving you the money you need to realize your dreams. Set savings objectives, contribute regularly, whether large or small amounts, and make sure you have control over your financial future. To realize your project, you must invest time and money. Whether this includes planning the itinerary for your trip, the plans for your new kitchen or your projects in retirement, you must set objectives and take the time to plan them out. Regardless of what type of project you have, the best way to carry it out is to begin early and work gradually toward it. Set a realistic timeline and respect it. To make it easier to save, think about making your contributions via direct debit. You can transfer money from your bank account to your savings account and decide the amount and frequency of your contributions to help you reach your objectives. Thus, your savings for your project will be a part of your monthly budget. Determine how much you need to save for your project and how. But first, do you know where your money goes? To better manage your money, identify your fixed and variable expenses and set up a budget. Reduce non-essential expenses and put that money aside. Did you receive a bonus at work? A gift from your family? A significant tax refund? Consider depositing this money into your savings to help you achieve your objectives even faster. No matter your project, it is important to save on a regular basis and to make sure you have control over your finances. Are you structured and have put in place a savings strategy in order to realize your project, but are asking yourself what more you can do to grow your money? There are many products and investment services available. But how do you choose the right one? A financial security advisor can suggest the best solutions to help you achieve your savings objectives based on your needs and investor profile. If your situation has changed or you do not anticipate achieving the objectives you have set, it is time to adjust your savings plan and timeline. If you have saved the money you need for your project while respecting your initial objectives, you can move on with your project. This is it, the moment you have been waiting for! Everything is in place. You can now take that trip…get married…renovate your kitchen…or retire. Go for it! 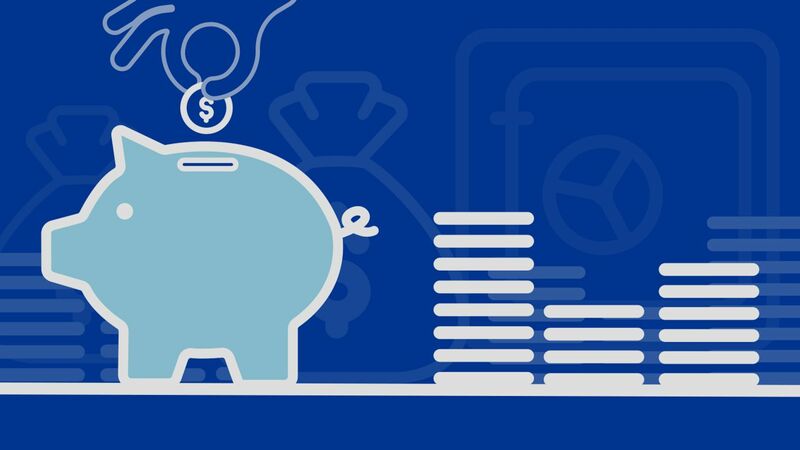 Choosing a tax-free savings account will help you save money that you would have otherwise put in your piggy bank, tax-free with no impact on your taxable income. It will help you save what you need to carry out your projects and use your money when you need emergency funds when unexpected events occur. The contribution limit is not dependent on your income; you can contribute up to the limit set by the government. Taking out a registered retirement savings plan (RRSP) will help you save money for retirement tax-free. The total contributions permitted in your RRSP each year will depend on your income. Contributions to your RRSP are deducted from your taxable income and you can, depending on your situation, receive significant tax refunds. Contributions are taxable only when you take them out of the RRSP; therefore, at retirement.